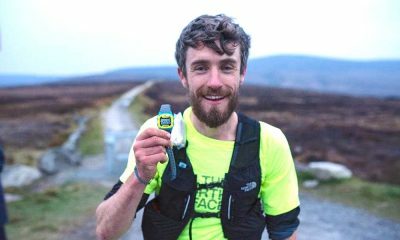 Seaward and McGlynn run half marathon personal bests, Hiko Tonosa and Fionnuala McCormack in Enniscorthy, while students are in action at the Irish University Indoor Championships. McGlynn went under 72 minutes for the first time with a big personal best of 71:59 and finished seventh in the women’s race. 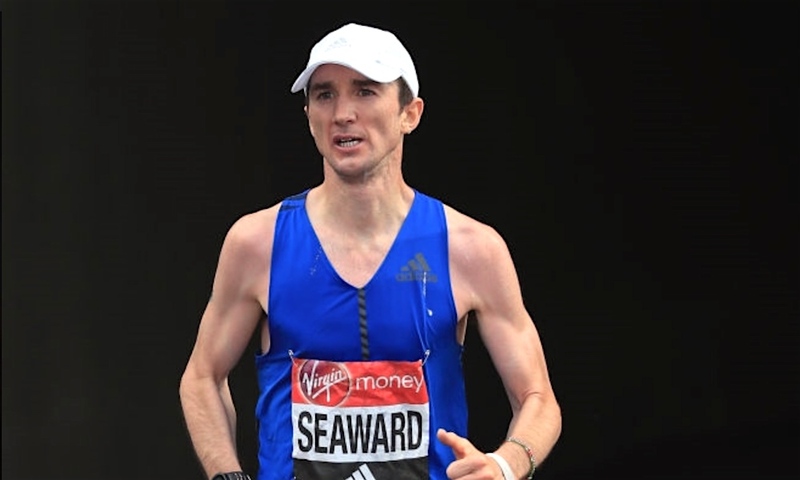 Seaward was 12th of the men in 63:38 – his first time under 64 minutes. 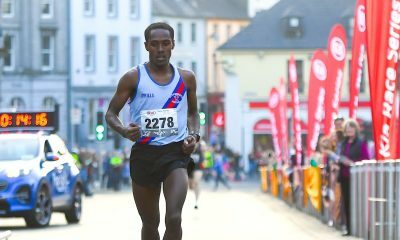 Hiko Tonosa of Dundrum South Dublin AC and Fionnuala McCormack of Kilcoole were the winners at the Enniscorthy 10k on Sunday. Tonosa continues his return to racing after injury with a solid victory in 31:02, while McCormack, who gave birth to her first child last September, ran a strong time of 33:21 to finish fourth overall. Sergiu Ciobanu of Clonliffe Harriers finished second in 31:13, while David Mansfield of Clonmel AC was third in 31:47. Second woman was Linda Byrne of DSD AC, a previous winner of the race, in 36:26, with Sally Forristal of St Joseph’s AC third in 37:48. Clonliffe’s Gary O’Hanlon broke his own course record by four minutes when winning the Donadea 50km, which doubles as the national championships, in Co Kildare on Saturday (February 9). O’Hanlon took a commanding lead in the first 10km of the race finishing in a time of 2:50.48. A distant second was Shaun McLaughlin of Westport AC in 3:17.45. First woman in 3:48.16 was Laura O’Driscoll of Setanta Triathlon Club in Dundalk. Phil Healy of Bandon ASC ran a time of 53.72 secs in a tactical women’s invitational 400m at the annual Millrose Games in the Armory, New York on Saturday evening. Winner was Jaide Stepter of the USA in 53.25, who was third at 200m; Healy was fourth. Healy ran a time of 52.31 in Vienna last month – not far off her personal best of 52.19. Having missed out at the World Indoors last year, her immediate target is a place in the 400m final at the European Indoors in Glasgow next month. Also on Saturday, Mark English ran a European Indoors qualifying time of 1:48.66 at the IFAM Meet in Ghent, Belgium. The qualifying mark is 1:49. Lauren Roy of City of Lisburn AC clocked a time of 7.48 secs to finish eighth in the women’s 60m at the British Indoor Championships in Birmingham on Saturday. Roy qualified for the final by running 7.54 and 7.52 in the heats and semi-finals. Race winner was Asha Philip of Newham EB in 7.19. At the Irish University Indoor Championships in Athlone on Friday (February 8), Molly Scott and Joseph Ojewumi both ran qualifying marks for the 60m at next month’s European Indoors. Scott, representing IT Carlow, ran a time of 7.36 secs to win the women’s title comfortably inside the required mark of 7.40. Ojewumi, a student at DCU, was just one-hundredth of a second inside the men’s qualifying mark of 6.78 secs with a time of 6.77. Finishing second in 6.85 was Marcus Lawler of IT Carlow, with Tralee IT’s Travane Morrison third in 6.86. Scott also won the 60m hurdle in 8.34 secs, beating UCD’s Sarah Lavin. In a closely-fought men’s 200m final, Craig Newell of the University of Ulster narrowly beat DCU’s Cillin Green with the pair timed at 21.68 and 21.70 secs. Almost as close was the 400m, where Andrew Mellon of Queen’s clocked 47.70 to beat Brandon Arrey of DCU second in 47.83. Winning the women’s 200m in 24.07 was Sophie Becker of DCU with Sharlene Mawdsley from UL second in 24.21. Becker already has a European Indoors qualifying time for the 400m from last weekend’s Indoor Games. Michaela Walsh of DCU dominated the women’s shot, winning with a season’s best so far of 14.42m. Best in the men’s shot was Eoin Sheridan of DCU with 15.17m. In the men’s combined events pentathlon, Shane Aston of IT Carlow accumulated 3324 points on his way to victory. A time of 2:49.50 in the 1000m helped UCD’s David Dagg into second place with 2949 points. Winning the women’s title with 3049 points was Katie Walsh of CIT. Overall, DCU dominated both men and women’s competition, winning both titles. UCD and IT Carlow were second and third of the men while UCC and NUIG were second and third of the women. Ciara Mageean continued her preparations for the European Indoors with a second place in the 1500m at the Meeting Madrid in Spain on Friday; the meet is part of the IAAF World Indoor Tour. Winning the race in 4:08.31 was Poland’s Sofia Ennaoui; Mageean was clocked at 4:10.12. Highlight of the NIA Live meet in Abbotstown on Tuesday (February 5) was a time of 1:52.34 clocked by Shane Fitzsimons of Mullingar Harriers in the 1500m. Next round is on February 19. 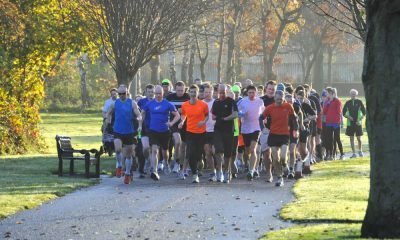 Scottish runner Tom Roche ran 16:53 to at the Naas parkrun to record the fastest men’s time across Ireland on Saturday, while Annette Kealy claimed the women’s top spot after an 18:35 run at the Malahide event. 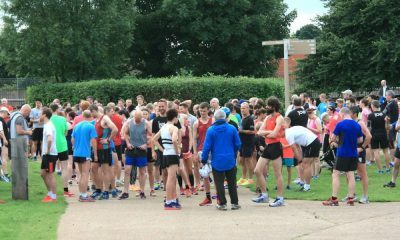 The top 10 runs at parkrun can be found here.